On September 2nd, Tea From Vietnam had a Vietnamese Independence Day sale and offered their tea 20% off and a reduced free shipping threshold. I decided to take advantage this great sale and I picked up three of their oolong teas: Golden Lily (Jin Xuan), Ta, and Gui Fei. I also received a sample of their "Red Lily" which is a black tea made from Jin Xuan leaf. 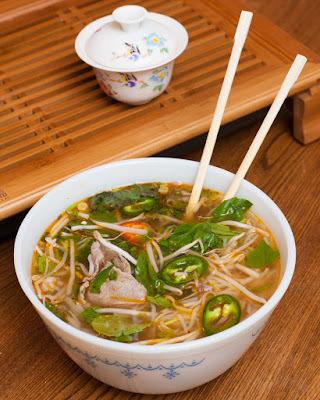 While thinking of my new Vietnamese teas, I had a craving for some pho and thought this would make a perfect pairing. Unfortunately though, I made my pho much too spicy which completely ruined my palate. I cannot possibly enjoy tea right now so instead I will use this time to read Tea From Vietnam's blog and learn a little bit more about them. Tien Vu launched Tea From Vietnam earlier this year and is proud to offer tea produced by his family in the northern province of Thai Nguyen, Vietnam. Mr. Vu respects the history, reputation, and ideal terroir associated with Chinese, Taiwanese, and Japanese teas and does not try to claim that his teas will outdo the best of those traditional teas but instead promotes his teas as examples of some of the finest tea that Vietnam can offer to a tea lover wanting to experience tea from other regions. Although Taiwanese style teas have been grown in Vietnam only in recent years, Mr Vu has provided an in depth review of the history of tea from the Vietnamese perspective which shows how deep the tea roots really are in Vietnam and the importance of the Thai Nguyen province for high quality tea production. Of the teas I have in my order, the Golden Lily and the Ta oolongs both fall in the "jade" (low roast/low oxidization) oolong category. The Golden Lily, as expected, is made from the Jin Xuan cultivar of leaf which was introduced to Vietnam from Taiwan a couple decades ago. The Ta oolong though is a cultivar that is unique to Vietnam and is why I wanted to give it a try. These two teas may seem pretty similar at fist. The oxidation level is about the same and they both brew up a nice looking very clear light yellow liquor. Both teas have the distinct "gao shan" aroma that you would expect from this style of oolong, and since these teas were grown at or slightly higher than 1,000m elevation, they may qualify as "high mountain" oolongs if defining that term by elevation alone. The aroma does present slightly differently for each of these teas though. Both teas smell of sweet honey and buttery toffee, but the Golden Lily is more vegetal and reminds me of tomatoes where as the Ta leaves are more floral with a slight nutty/cashew aroma. 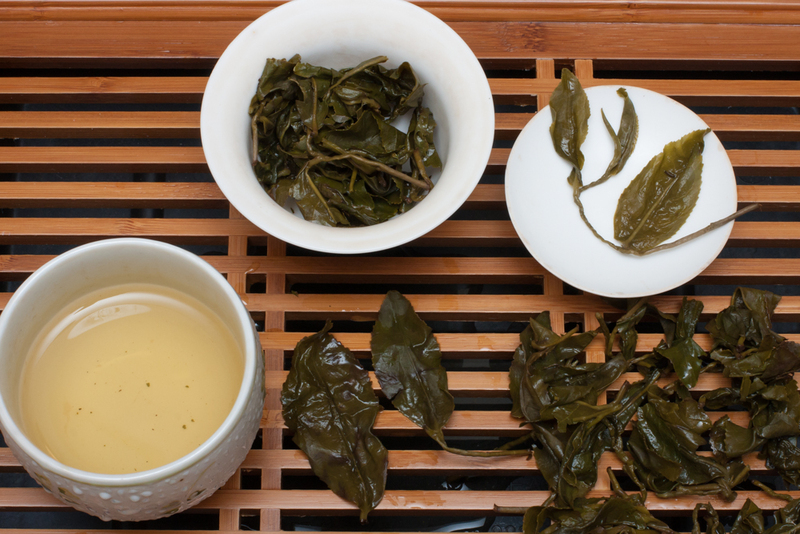 The mouthfeel of the Golden Lily is surprisingly active with some pleasant atringency, though not much body, and the Ta oolong is very smooth and coats the mouth. The Golden Lily aftertaste is slightly peppery early on, but then later becomes more floral. Of the few times I have brewed this tea now, I find that it does best with slightly more leaf than I originally thought I would need. Not much more, but an extra one half to one gram seemed to really help this tea deliver a fuller flavor and not taper off as quickly. As the tea does taper off though, long infusions can produce a good vegetal tea soup that still provides an interesting floral aftertaste. 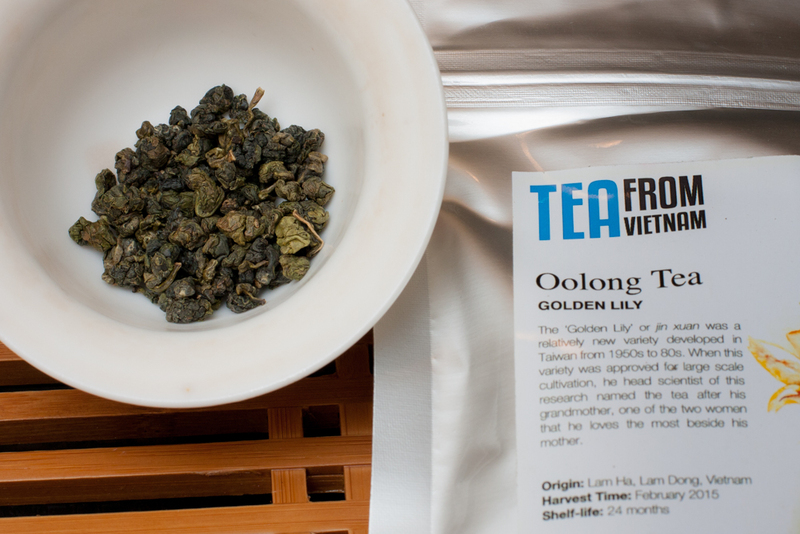 Tea From Vietnam - Golden Lily oolong - Great looking leaves! The flavor of the Ta oolong is also very creamy, but it does not have the same dominating vegetal nature as the Golden Lily and instead has a nice citrus (orange, grapefruit) flavor with lemongrass and a nice floral perfume taste in the back of the throat. Subsequent infusions reveal more light honey sweetness that combines with the creaminess to create a sugar cookie-like taste. The enjoyable aftertaste is floral and lingering. 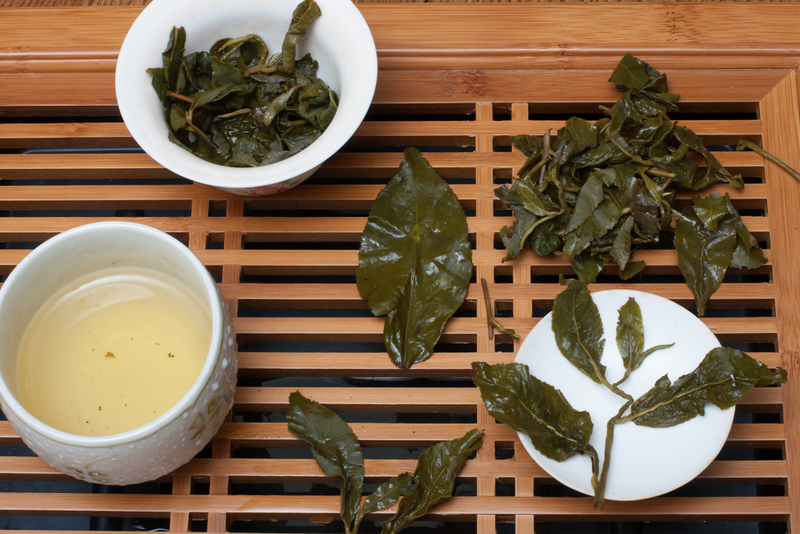 Tea From Vietnam - Ta oolong - Also great looking leaves! Another difference between Golden Lily and Ta is the price. Golden Lily is $5.90 for 50g and Ta is $11.90 for 50g. 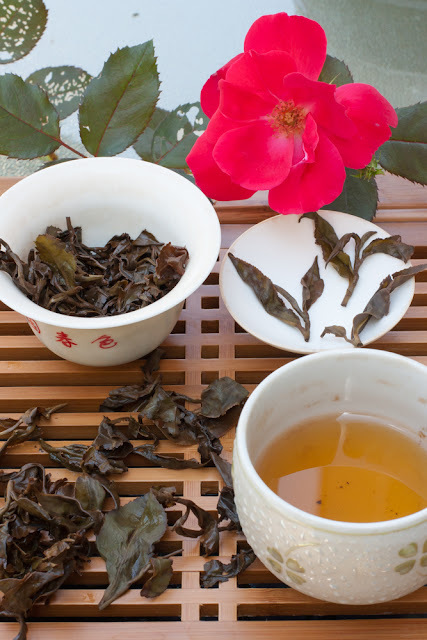 Part of the price difference is likely due to supply-- Jin Xuan cultivar is grown more commonly than Ta and is a high yield cultivar which can make it more affordable. Of course personal preference will dictate if these are good deals, but I think the prices are good. Although I am not personally a huge fan of the milky vegetal flavor of Golden Lily, I enjoy the tea enough that I think it's definitely worth $5.90 for 50g and I would be happy to buy this tea again as a daily drinker jade oolong. 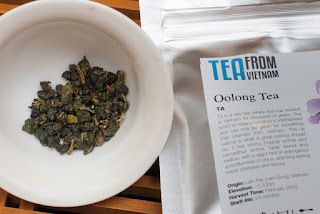 I also think that the higher price for the Ta oolong is a good deal too because I prefer the flavor profile of the Ta much more-- it's a well balanced tea with good gao shan flavor and complexity. In contrast to the low oxidized Golden Lily, I also received a small sample of the Red Lily which is a black tea made from Jin Xuan leaf. Red Lily is fully oxidized and has a medium bake/roast. Close examination of the leaf though does show some greenness. Due to the rolled nature of this tea and large leaf size, it seems to do better with more leaf than I typically use for black tea-- a good leaf to water ratio would be similar to what I use for oolongs, roughly 5g per 80ml, though I would like to experiment more to see if any other parameters would have an effect on this tea. The first time I brewed it I did not use enough leaf so I used more leaf the second time which helped. The Red Lily brews up a beautiful clear orange liquor and the leaves unroll fairly quickly and give off an aroma of dark raisins, black cherries, dark chocolate and a hint of strawberry. The first infusion had a darker version of that milky "jin xuan" taste which I did not enjoy, but the tea became much more enjoyable in the second and third infusions where it transformed into a nice peach cobbler with ice cream flavor, dark cherry, and cotton candy. Later it reminded me of apple cider spices (cinnamon, nutmeg, etc), dried orange peel, and figs with a similar aftertaste having a brown sugar sweetness. Occasionally though I would get a slight milky reminder that this is Jin Xuan which is not something I'm used to in black teas and that made it difficult for me to really enjoy this one as much as I did the oolongs. At $6.90 per 50g though, it may be worth a try for something unique as it is the only black tea available right now from Tea From Vietnam, but I would like to see them offer some others in the future-- perhaps a Vietnamese version of an Assam would be really interesting. 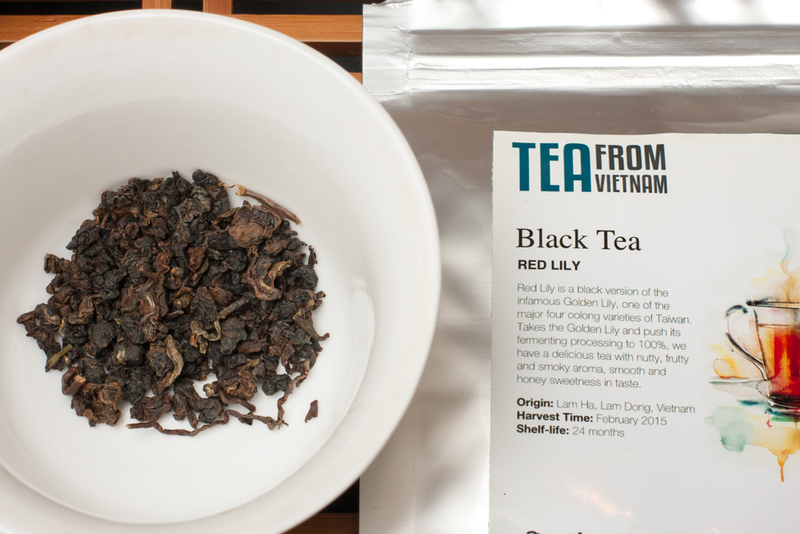 Tea From Vietnam - Red Lily - Really nice looking leave, some greenness to them despite being a black tea. My final tea from Vietnam is the Gui Fei oolong. 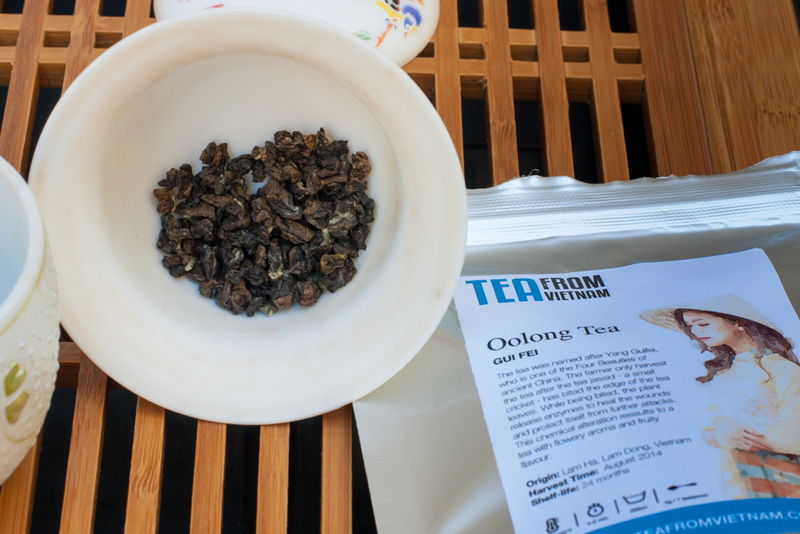 This type of oolong is low roast but moderately oxidized and is similar to Oriental Beauty in that leafhopper insects are allowed to nibble on the leaves prior to harvest which causes the leaves to produce additional flavor compounds that add an extra layer of complexity and sweetness to the tea. The Gui Fei ended up being my favorite tea that I tried from Vietnam. 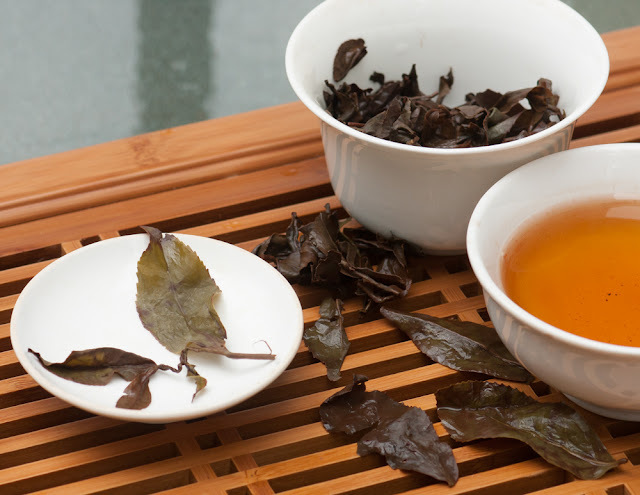 The wet leaf is very fragrant of dark honey, nutmeg, raisin, a hint of chocolate, and the muscat grape that is common in Darjeelings and also leafhopper oolongs. The liquor is an orange dark honey color and the mouthfeel is very soft yet has enough pleasant astringency to keep it interesting. In addition to these four teas, Tea From Vietnam also has a couple more oolongs and a few green teas. I did not order any green teas this time, but I have a fellow tea friend who did order some of the greens and found them quite enjoyable. I look forward to trying those in my next order! At the time of writing this, they provide free shipping on orders over $30, but orders under $30 ship for a flat rate of only $4.90, so these teas are very accessible to anyone in the world. I loved their Gui Fei, really all their teas I tried so far, but the Gui Fei stole my heart!